Of course I had to get Atlantic Blue, the Artliner from Lancôme Jason Wu collection. It's an eyeliner and it's blue, what is there to debate? 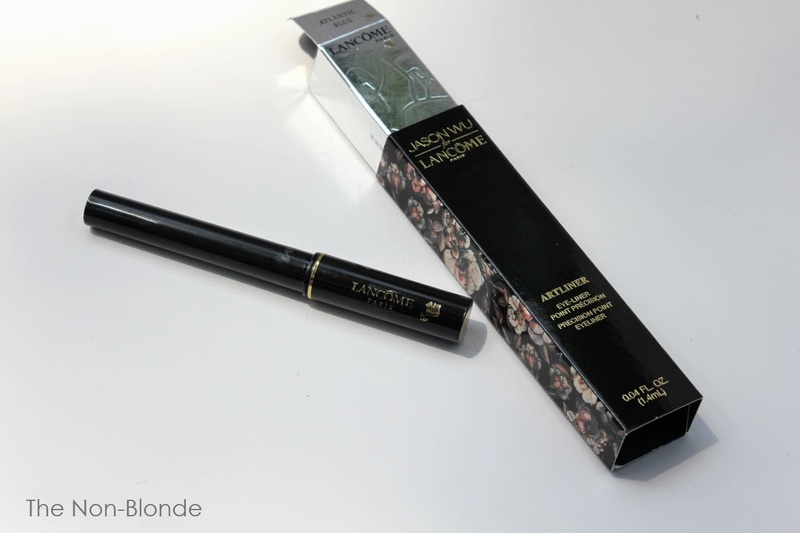 Like the rest of the Jason Wu makeup collection, the eyeliner's regular Lancome box is inserted into the Jason Wu black sleeve with the floral print. I wish the pen itself had a special marking. Atlantic Blue is somewhere between cadet blue and navy, probably closer to the former, and not very dark. It definitely shows as blue on my lash line without being bright. It's not a "black alternative" as you can see above, but still something you can wear every day without looking too colorful if that's your concern, and it goes well with all your favorite taupes and other neutrals. 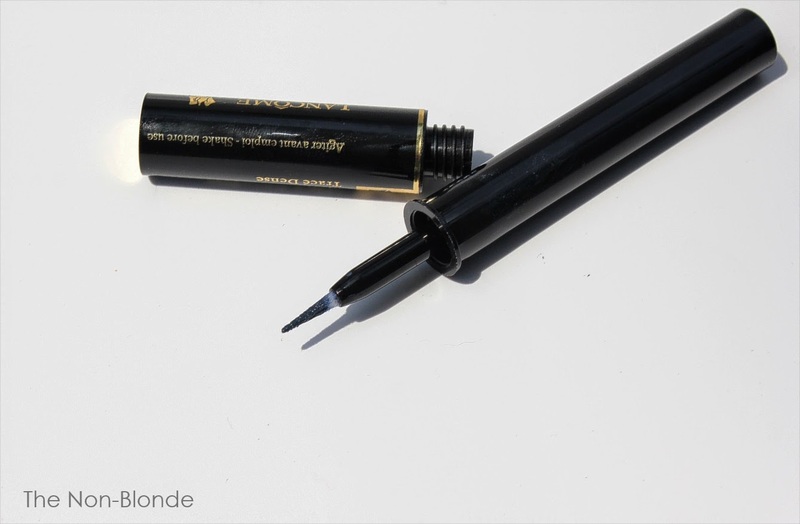 Lancôme Artliner has a relatively wide tip that's easy to control. 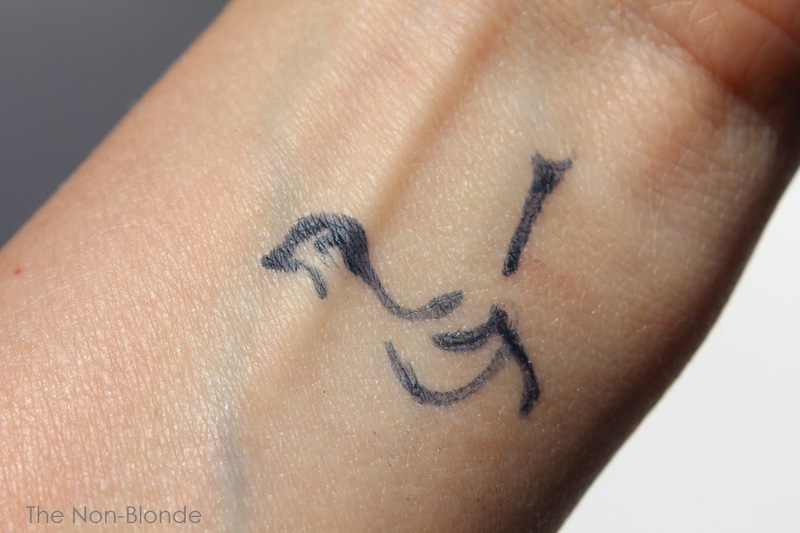 It's a great product, especially for beginners or those afraid of liquid liners. The result of Artliner's thickness, though, is that drawing a very fine thin line is not its strongest suit (it's possible if you have a very steady hand). I don't mind a thicker line, as my lids can carry it and I love the color and want it to show, but take it into account if you prefer a more natural look. 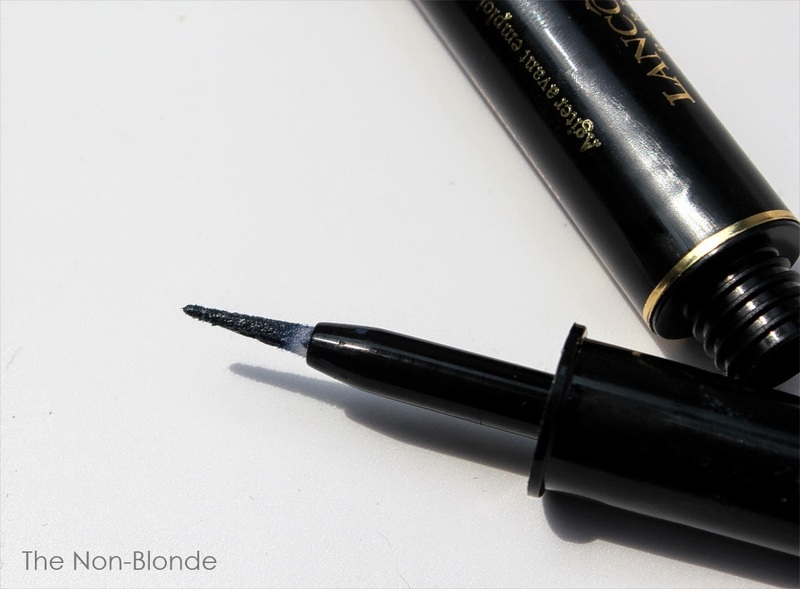 Longevity and performance are similar to every Lancome Artliner I've ever had: it's a reliable workhorse that does not melt or smudge. Bottom Line: I might need a backup. Lancôme Jason Wu Artliner Atlantic Blue ($30.50) is available at the counters and from Lancome website. Hi Gaia, between Atlantic blue and their regular Navy artliner, which would you say has more blue pigment? I'm drawn to the floppy tip and a bluer hue. Bewteen the two, which do you recommend? This looks stellar, will have to head to the counter to try this soon! Does anyone know if the Atlantic Blue color is close to Azure or Blueberry? I love these shades. Afraid the Atlantic Blue might be too dark.